COMMENTS: I've bought several silicone bar molds in an attempt to find one in which the individual cavities didn't bulge with the weight of CP soap. This mold has been the only one to hold up to multiple uses. I had found that bars cut from loaves tend to be too big to comfortably and effectively lather with a washcloth until it's been used for a week or so, but the bars made with this mold are a great size for adult hands. Not so dainty that man-sized hands can't work it and not so ginormous that lady hands have to cut it in half to maneuver. COMMENTS: I wasn't sure if my 2lb melt and pour would fill the mold. And it did! I had a little bit of melt and pour left over and put it another mold for sample size soaps! It held its shape really well and was super easy to work with! I also really appreciate how fast it came in the mail! COMMENTS: for a nice, easy to hold but hefty bar of soap. The mold stands up well and I haven't had any issues with warping or discolouration. Although, every speck of dust does seem to cling to these when not in use, so I tend to keep these in an airtight container in between uses! 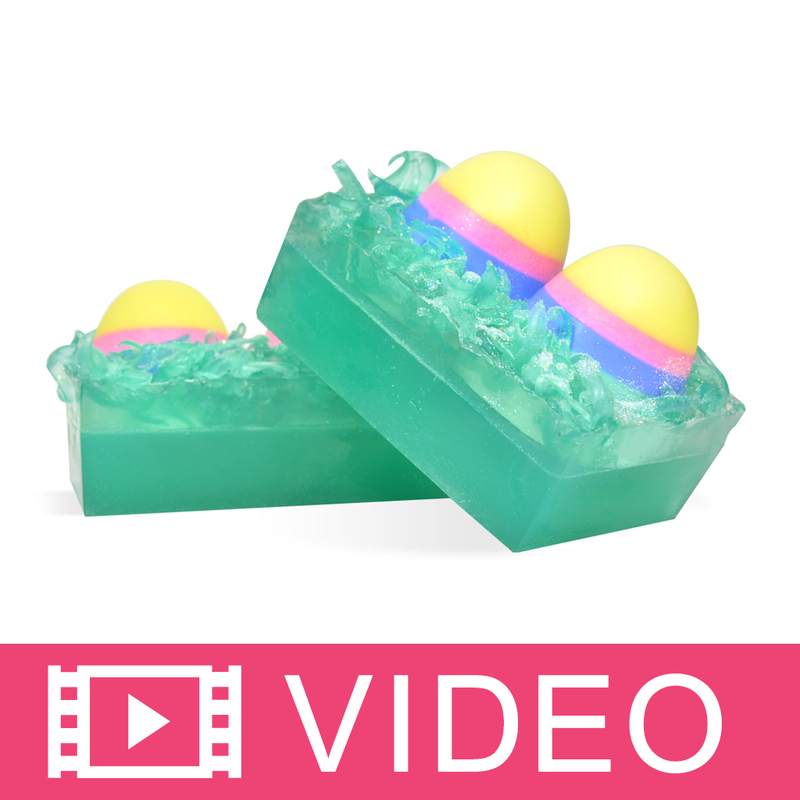 COMMENTS: Perfect size for larger bars of soap, high quality and soap releases easily.
" Rectangle Basic Silicone Mold 16"
COMMENTS: My favorite mold. Friends and family like the size because it fits the hand for easier use. COMMENTS: I use this mold for my cp soap with loofah. It's just the right size, and the soaps turn out nice. Easy to unmold. COMMENTS: I have been using other molds & I have no idea why it took me so long to purchase this silicon mold. The soaps are the perfect size & it couldn't be any easier to unmold. I don't know how or why I wasted my time previously, in using the other. I'll never go back! COMMENTS: I LOVE THIS MOLD! The cavities are a little larger than I was expecting and that made it even better! The bars come out to about 6-7 oz chunky bars. Great for more intricate designs or something you can't pour from topside! Release is so easy, too! Buying more! COMMENTS: A simple way to make a 5 oz bar without cutting the soap. It releases with ease. Gotta love these!! COMMENTS: Love this mold. Will be buying more. Only problems I have are that it retains scents pretty well. I put mine in hot water with baking soda, then soaked it in vinegar, and put it in the sun by my kitchen window for an hour or so. Did the trick. COMMENTS: Makes perfect rectangle bars. Easy removal. COMMENTS: I am very happy with this mold. It comes out really easy once you soaps are ready. Perfect Size. I am ordering another so that I can make more! COMMENTS: I like the wider bar width of 3.5" most others I have seen are smaller. This is a thick silicone mold and study. 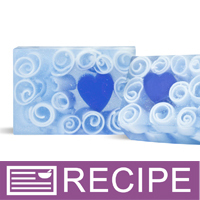 The soaps have released easily from the mold with both the melt and pour and the cold process. COMMENTS: This mold made the best soap bar. My first try at it. I was a little scared but it was easy. Slid right out. The bar was large & thick. I will be buying more. COMMENTS: This is an all around great basic mold that can be used for anything from soap bars to cutting up for product samples. Filling is easy and the silicone is a nice thick material. Unmolding is even easier as you can basically invert each square. Soap bars come out perfectly smooth like at the stores. Love this! COMMENTS: High quality mold, easy to clean and remove soap. COMMENTS: A must to add to your collection. This is a very useful mold. You will use it over and over again. Everything releses so easily out of the mold. Makes a nice size bar too. "Love this mold, easy to use"
COMMENTS: Nice mold, easy to use, only 4 compartments though. Sturdy, this will last forever. COMMENTS: Too many times I was asked, "don't you just make a rectangle shaped soap," so I bought this mold to appease the non-creative buyers. It's a great mold. Nice, large soap (5+ oz) and very easy to unmold. I highly recommend it. COMMENTS: Used for the first time today and the argan oil soap came out easily. COMMENTS: Love this for individual bars when I don't want an entire loaf. COMMENTS: Works great. Easy to get soap out of mold and soap looks smooth and shiny!! Quick to clean too between uses. COMMENTS: I have used this mold a few times and I have yet to have any issues with it. I love the size bars that this mold makes and I love the way it makes my products look uniform in size. Easy release and no tears. "Very nice molds with straight sides"
COMMENTS: I bought 2 of these for my small batches. They make nice standard size bars and I find the straight sides easy to wrap cigar band labels around. Soap comes out easily and cleanly because they are flexible but I do put it in the freezer, too, before unmolding. 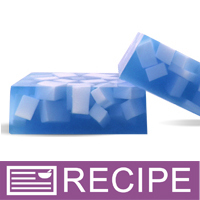 "Rectangle Basic Silicone Mold 1601 "
COMMENTS: We love this mold as it is creates the perfect sized soap bars. We have 6 molds already and plan to order more. Great product. COMMENTS: I love CC molds and these are no exception. Very strong and hold their shape after many uses. "Rectangle Basic Silicone Mold 1601"
COMMENTS: Need to be careful when unmolding. Mold will tear. COMMENTS: Easy to clean. Perfect shape. COMMENTS: I've been soaping for over 25 years and always looking for the perfect mold. I've not used these on cold process but on quick melt and pour. The soaps come out so clean and sharp around the edges. Very easy to work with and while they are what I consider to be very expensive, they stand up to continued use so they are well worth the price. When I think of the time I would spend struggling with other plastic molds these pay for themselves. Also helpful for me now that I'm developing arthritis in my wrists. I'm back for larger ones. Oh, don't forget to put these on a cookie sheet as they are flimsy and difficult to move once filled. COMMENTS: These molds are sturdy and easy to pop the soaps out. They are very durable. COMMENTS: I love this mold for my picture soaps. The soaps are very easy to unmold, which is great because I have rheumatoid arthritis which makes my hands hurt from time to time. Couldn't live without it! COMMENTS: Love this! It cleans well, it was stable enough for both CP and MP soap. It is perfect for testing out recipes too. COMMENTS: I absolutely love these molds. The soap pops out so easily. So much better than the hard plastic molds. Such a great selection of shapes and sizes. I want them all! COMMENTS: This mold is great for making all kind of soaps, the size is large and perfect for men soaps...big hand size.. I purchased this with the mold kit but will be ordering more molds individually. COMMENTS: Nothing beats silicone molds and this one is awesome! Strong on all four sides, easy release and deep enough to fit into a man's hands. I use this one to make soaps for men, love that it is clear & can be seen through it to measure different colors when blended. Great mold! COMMENTS: After 2nd use one corner tore. COMMENTS: This mold makes great big bars! Love it for our manly smells. COMMENTS: I have the original blue molds for years, but they were starting to have some tears in the corners after hundreds of uses. The original blue ones are very, very sturdy, and I hoped I would like these new ones as much. It turns out the new translucent molds are even better than the original ones. The soap literal falls out of the mold! I make (initially) soft, sticky soap that can get stuck in the molds, but the bars just slide right out of the new ones. They are easier to wash too. The blue ones usually require at least 2 washing to get all of the oily residue off, but these new ones only need one washing. I will definitely purchase more! COMMENTS: This is a really good mold. You have to love the silicone molds! They last and keep their shape. COMMENTS: We love using this mold for our melt and pour bars of soap. They make the perfect size of bars. COMMENTS: I have had two of these molds tear when I was unmolding soap. I have not had this happen with any of the other silicon molds I have, so I am disappointed in this particular mold. COMMENTS: I have used this mold to make both MP & CP soap. It is very easy to unmold and the bar is huge! COMMENTS: Easy to use, easy to clean silicone tray makes 4 perfect bars of soap. COMMENTS: Makes great size bars that pop out of the mold great. Cleans up easy too. COMMENTS: I love having this mold for when I have too much to fit in my loaf or tray. COMMENTS: Works like a charm! COMMENTS: I love this mold as it is extremely easy to undo the soaps from it. The only down fall is that it is very thin, and the first time one of them ripped right in half. I will be ordering another though since they do work perfectly and make very big soaps. COMMENTS: This mold is great for salt bars. They unmold easily and no more crumby salt bars. 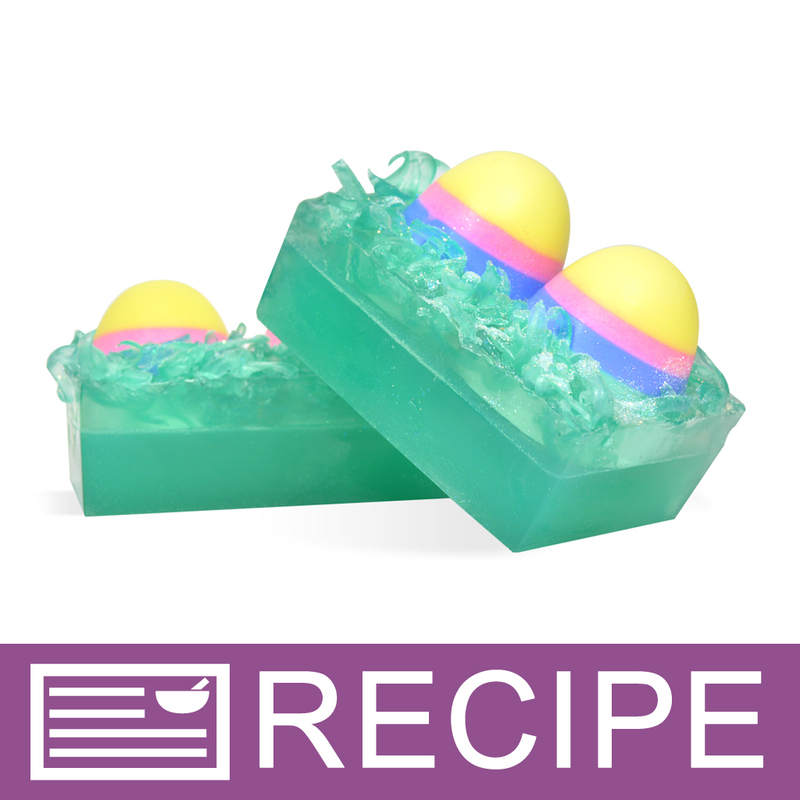 COMMENTS: This mold was super easy to use and made very nice size soaps. The soap came out glossy and professional looking. I also like that I can make smaller batches. COMMENTS: These silicone molds hold their shape but are easy to un-mold. By far these are the best molds I have ever used. Buy these molds and you will be happy with them. COMMENTS: Easy to use and very flexible !!!! COMMENTS: This mold broke after 1 use! Flimsy and does not keep its shape. I will never buy this mold again. Sending back to the company! "very easy to use, just as as WSP molds"
COMMENTS: Perfect size, un-molds easily but despite my careful handling I find they are tearing at corners and from hang hole. I think there are built in stress points during manufacture. the price makes it hard to recoup my losses in a reasonable time but, If I didn't use these there is no other choice unless I readjust all my wrappers. It's a love hate relationship. It's much easier and less work than my other method with lye and oils that I pour into wooden 48 bar molds. COMMENTS: This mold is GREAT! Have no problems unmolding my MP soaps. It is a quality made product, way better than any plastic mold. It is also very easy to clean, I love it!! • Nothing at all, LOVE IT! COMMENTS: This mold is very sturdy and the sides are perfectly squared. I recommend placing it on a cutting board or baking pan so it does not move, as all four cavities bend. I use this to make large men's bars. It is great to make one bar if needed. I use it to make small amounts of different colored soaps to make ribbons or chunks. I also keep it nearby in case I make too much M&P for my loaf. I can pour extra into the mold. I remove it, label it with the scent I used and can use again at a later time. NO waste! COMMENTS: This is the perfect size for bar soap. I have used it for M&P and CP soaps. The bars come out of the mold with no problem. Great mold, will buy more. COMMENTS: I've been making soap and candles now since 1998 and have only recently tried silicone molds. I must say I love these! The lines are clear and defined, my detergent free M&P soap unmolds fantastically, and each and every bar comes out super shiny--so shiny in fact that my colored, clear soaps look just like glass! I did notice the FO and/or EO fragrance still lingers even after washing but wiping each cavity with a light spritz of 91% alcohol takes care of that with no problem. I'll be buying more soon! COMMENTS: Love shape and size, but I have ripped two of them. Be very careful and patient removing soap. COMMENTS: This mold makes perfectly shaped bars of soap. If you are using a mix of oils that makes softer soap, make sure to left sit longer in mold or even put in freezer. Softer soaps were hard to get out of mold. "Another mold where one is not enough"
COMMENTS: This is a high quality and durable mold. 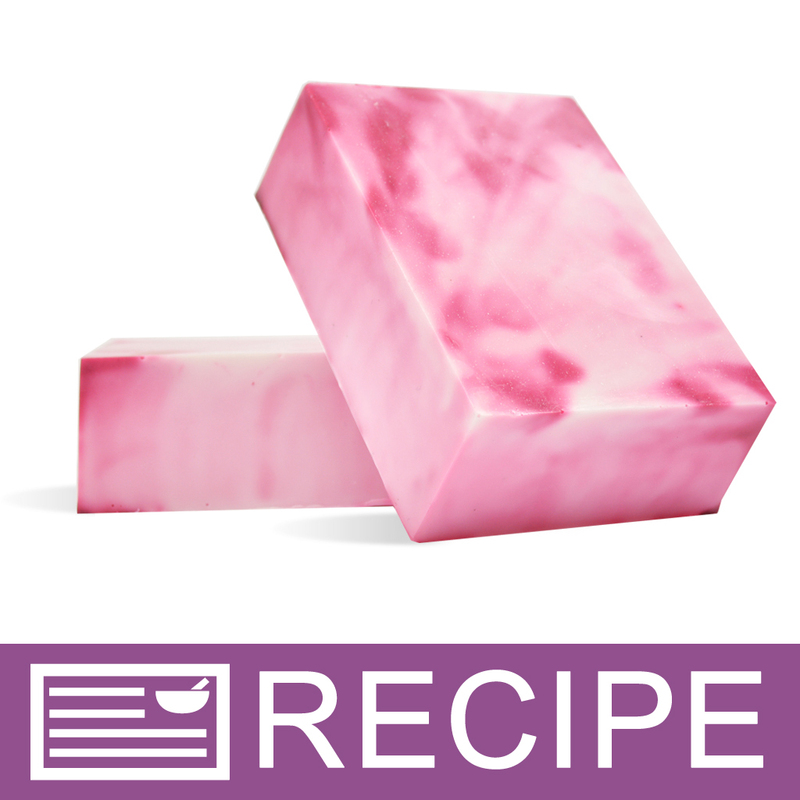 I needed this for some of my recipes and I love this larger size soap bar. I can tell that I need another one or two of these for larger or multiple batches. The soap was easy to turn out and the soap retained a good shape. The mold was easy to clean. This is a must have for basic soap making. "Nice mold for embedding and layering"
COMMENTS: I love this mold for embedding my soaps. The cavities are deep enough that you can put small plastic toys inside, especially for Easter, little ducks and chicks! Can't wait to give these out at my church. 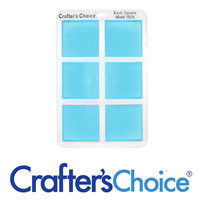 COMMENTS: So easy to use silicone molds from Crafters Choice. No more struggling trying to get the soap out of the mold! No more freezer, no more pounding, no more prying. COMMENTS: I ordered this mold for the size of the bars it would allow me to make. I was thrilled with the size of the bars. My customer said the bars were exactly the size her husband wanted as my smaller bars were not to his liking. The best part was how easy it was to get the bars to release from the mold. Liked it so much I ordered another mold with an oval shape! COMMENTS: I've used this mold for several batches of MP soap. It has held up really well and appears to be sturdy. I hope it lasts as I really love this size. It molds the perfect bar of soap. I wish it held more bars but it does work great for smaller batches. It works well for our personal soap making. I have ordered more molds from this line and I look forward to trying them as well. Thanks for a quality product! COMMENTS: This is an excellent product. The soap mold is flexible enough to remove the soaps easily, but creates a soap with nice, sharp edges. The molds do need to be put on a flat surface or tray if you plan to move them while the soap is still setting. Unlike plastic molds, the flexible silicone molds will bend when you pick them up, creating folds in the top of your soap. However, the durability of the mold, the ability to withstand warmer temperatures and the ease of removing the soap make the silicone mold a better choice for molding the soap. COMMENTS: This is the only mold I use for my basic soap line. This mold makes the perfect rectangular bar. My customers love the large size. It is easy to use and easy to clean up. The soap pops right out and leaves a nice smooth finish on the top of the soap. Love it!! COMMENTS: This is an excellent mold for all skill levels. It is easy to use, clean and unmold. It is durable and makes hearty-sized bars. It should be a staple for all mp soap creators. COMMENTS: So easy to use with CP or rebatch soap. Have never had a problem unmolding soap with this mold. Easy to clean also. 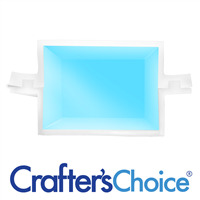 COMMENTS: I love all the crafters choice molds and that is all I order. I use them over and over and they hold up and work well Every time!! "Rectangle Basic Glossy Silicone Mold"
COMMENTS: This mold could not be easier to use. Love it. COMMENTS: I bought 5 of these for my cold process soap making. I have used them several times with no problems at all. 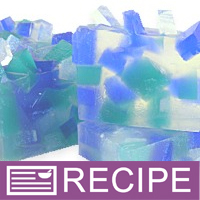 They have nice square corners and my soap unmolds easily with a beautiful shines appearance. When I have a batch that turns out too large for my loaf molds I get these out and pour in my left over. They have saved me several times..
"Silicone mold is a must!" 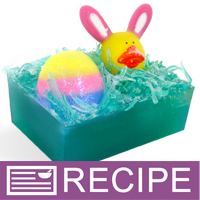 COMMENTS: I bought this mold as a first purchase when I started making my own soaps. So far I have tried, silicone, a muffin tin, copper and a few other molds. By far silicone is the BEST! It is flexible so you can pop your soap mold right out after it has cooled, no muss, no fuss, where the others you have to pry the soap out and it can get scuffed or scratched. The soap bars are pretty large, so I cut mine in half for this mold. Great purchase - I would recommend silicone molds over anything else when making soaps. COMMENTS: Soap releases easily in this mold. I also use this when I have extra left over from my loaf molds. Cleans up well too. COMMENTS: The search for this mold is what brought me to WSP. 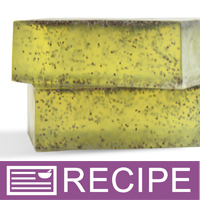 This is the ideal mold for making M&P soap appear to be cold-processed. I will be making these my primary production molds. COMMENTS: Used this last night and the soap popped right out. Good sized bars too. Will use this for special soap and new techniques. COMMENTS: I love this mold! It makes the classic bar of soap that never gets old! It is great to unmold and I give it a thumbs up! COMMENTS: This is a must have soap mold in our opinion! Very easy to work with, and the glossy finish leaves a nice smooth surface on finished soaps. The size is wonderful (very generous size when filled to the top, which makes for a nice, heavy bar that customers really enjoy) and the completely flat sides make it easy to wrap or box. The only issue we have had is that the silicone molds will trap certain strong fragrances in them, and we have to let them set with baking soda for a day every so often to get some of it out. But overall these are great, we own several and will be picking up more as well. COMMENTS: Just got this item and I am very pleased with the quality of this mold. Mold is well made, has nice deep cavities that will produce a 5 oz bar of soap. I have not used this yet. I ordered it for cold process soap making and intend to use it for decorative soaps. Great item to have on hand to do small test batches with or to make speciality soaps for family and friends. I was so impressed, I ordered another one the day this arrived. These molds are fantastic and have endless possibilities. COMMENTS: I use these all the time. They're great to work with and very easy to unmold. And now that they're glossy, my clear bars actually come out clear! COMMENTS: The possibilities are endless when it comes to this mold! I used this for Rainy Day, May Flowers, 3D Under the Sea (recipes) as well as my own ideas. Unlike other silicone molds, this one seems thin/flimsy along the sides near the corners but it is not. I have made at least 100 bars using this and it is still going strong! The only thing I would change is this mold tapers from top to bottom. Not very much, but my 2.5" round label fits perfectly on the bottom but wraps just a bit when I have to label the top side. "Love it, use it all the time!" COMMENTS: I am in love with this mold. I accidentally ripped one of them in 2 places (my fault) and was so upset. I now own 3 and plan to get a few more soon. They are great to customize by weight and I can pour as many or as few as I need too. They are a little pricey, but I much prefer the ease of getting soap out of this mold versus the cheaper heavy duty molds. "awesome mold for individual soaps"
COMMENTS: This mold is awesome for doing individual soaps. It is pretty sturdy and better than the plastic molds. I use it for cold process soap as well as melt and pour, for small orders for clients and to try out new scents and recipes. I would suggest though, that if your recipe is on the soft side to use sodium lactate for easier release. 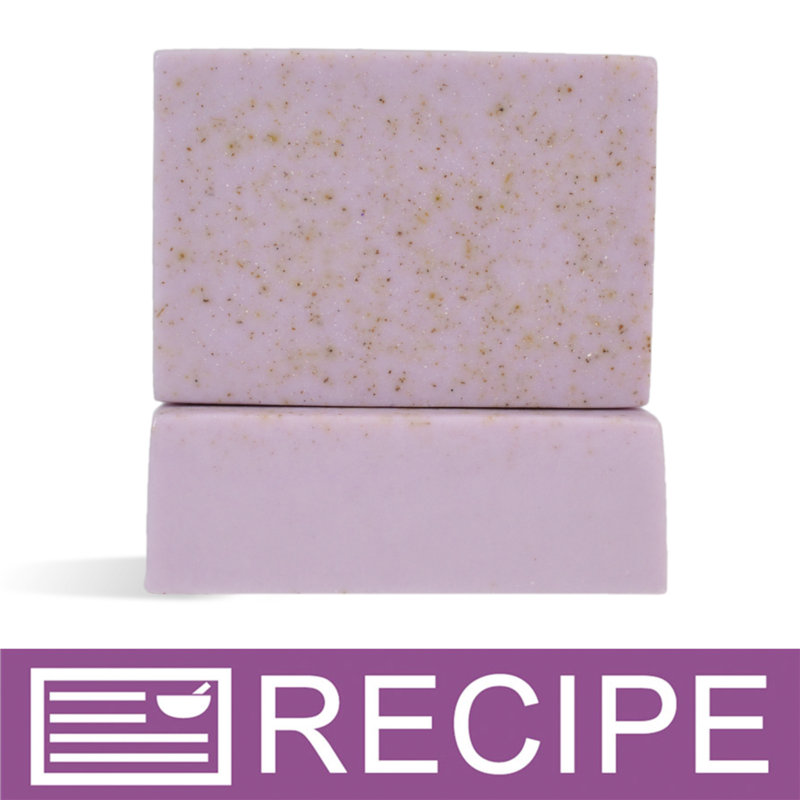 When I do this, it releases my cold process soap nicely without too much fuss and creates professional looking bars. When using melt and pour, the bars just pop on out. "silicone makes it so easy"
COMMENTS: i love the ease of the silicone molds. "what size shrink wrap bags would fit this soap?" Staff Answer The 4 x 6 shrink bag would fit this soap bar. "I can't post an answer to questions-am I completely overlooking a 'respond' tab to each question? I wanted to respond to the question about lingering scent in silicone molds. I am having the same problem. I've tried baking soda/water and warm soapy water. My soap is setting for 24 hrs in molds. Is that too long?" Staff Answer Silicone can retain the fragrance if the soap is kept in the mold for a length of time. If making MP soap, we recommend removing much sooner than 24 hours. If making CP, you really cannot remove any earlier than that. Try cleaning them out with rubbing alcohol also to see if that takes out some of the odor. "Will these bars fit into soap boxes like the 1501 loaf mold bars do?" Staff Answer The individual bar measurements match the soap box measurements exactly. So, yes, they will fit but it will be a very tight fit. "Does this mold have 4 individual cavities? That is, could I pour 1 or 2 bars if necessary?" Staff Answer It makes (4) 5 oz. bars. "How durable are they after multiple use - Will these tear? " Don't force the corners inside out when it's been in the fridge, oven, or freezer, and don't put them in the dishwasher. Otherwise yes, they work beautifully for a long time! I have some (square) that have been through more than 40 batches! I love this mold and it is very durable! I plan to use mine for a very long time and it has done well so far! Most of my molds have been used for over 2 years at this point, an average of 2-3 batches per week, so yes, they are very durable! Just don't pull too hard on the edges. I love silicone molds and I've never torn one yet. I have one I use repeatedly and it's still as good as new. These molds tend to be super durable with proper use. I've gotten tons of uses out of mine and it still looks brand new. This is what lured me to silicone molds at first and I am still in love! If you are careful with the molds--don't put them in the oven or fridge/freezer--they will last for years. We have had ours for several years and nothing has torn or even become stiff or hardened. These molds work well! As long as you are careful, these should last for a long time! I love these molds! They are very durable! I want more when are they coming back in to order? HELP! "My silicone molds seem to retain fragrance (especially the stronger ones) even after washing them with hot water and dish soap and putting them through the dishwasher - which then contaminates my more delicately-scented soaps fragrance! Any recommendations for getting stubborn scents out of silicone?" Staff Answer We have not experienced this issue. My recommendation is to not leave soap in the mold longer than necessary. Soak the mold in warm soapy water (we use dawn liquid soap) for a few hours before washing. I mist mine with a light coat of 91% Iso Alcohol and wipe dry with a paper towel or soft cloth. It's fast, easy, inexpensive and takes the linger scent right out! "Are these moulds perfectly rectangular or are they wedge shaped?" Staff Answer These molds will give your soap a true rectangle shape. To see an example of this, please refer to the images for the product.